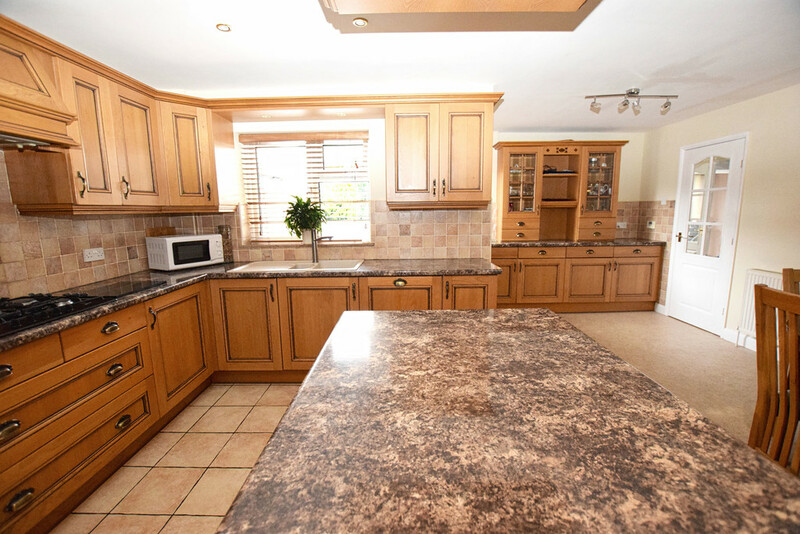 An extended semi detached home which offers extremely deceptive accommodation throughout. 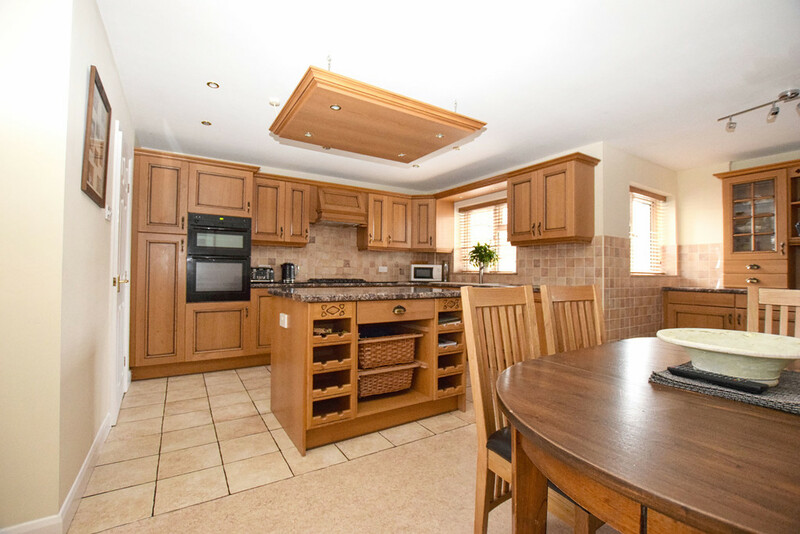 There are three double bedrooms with an en suite to the master, two reception rooms and a large L shaped dining kitchen which is the hub of the home. 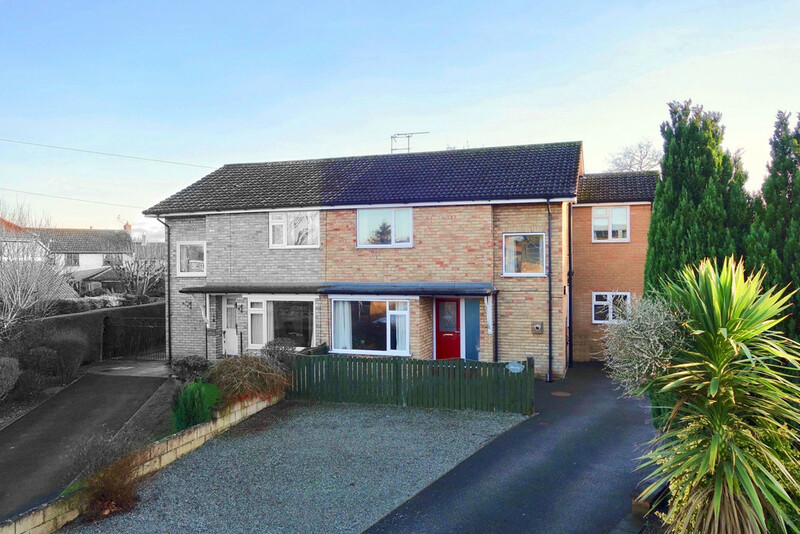 Outside there is plenty of off street parking and a large southerly facing rear garden. 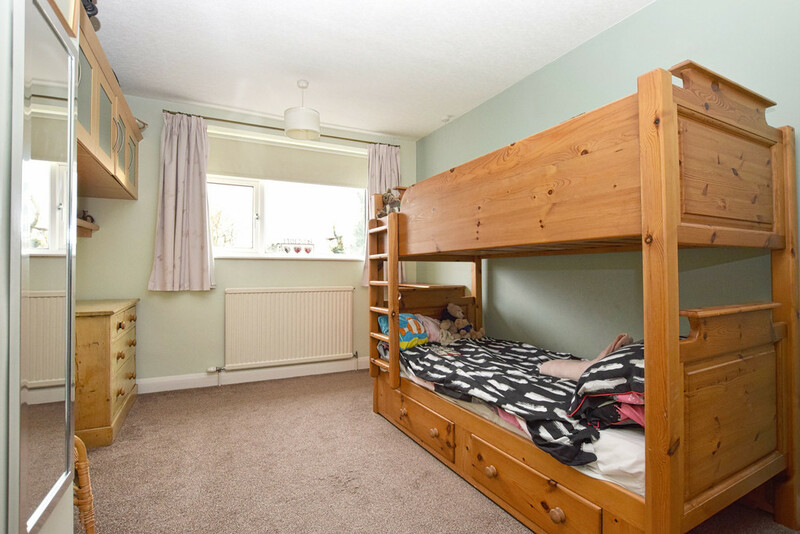 DESCRIPTION An extended semi detached home which offers extremely deceptive accommodation throughout. 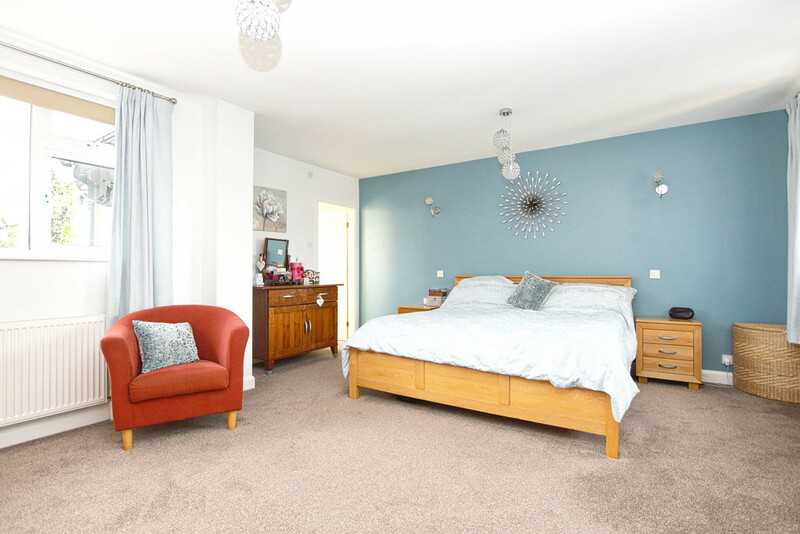 There are three double bedrooms with an en suite to the master, two reception rooms and a large L shaped dining kitchen which is the hub of the home. 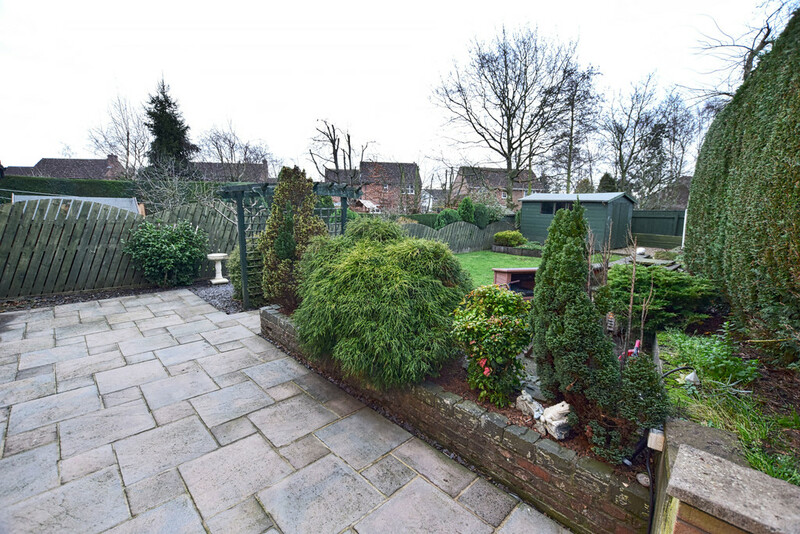 Outside there is plenty of off street parking and a large southerly facing rear garden. LOCATION Barmby Moor is a pretty village and civil parish in the East Riding of Yorkshire. 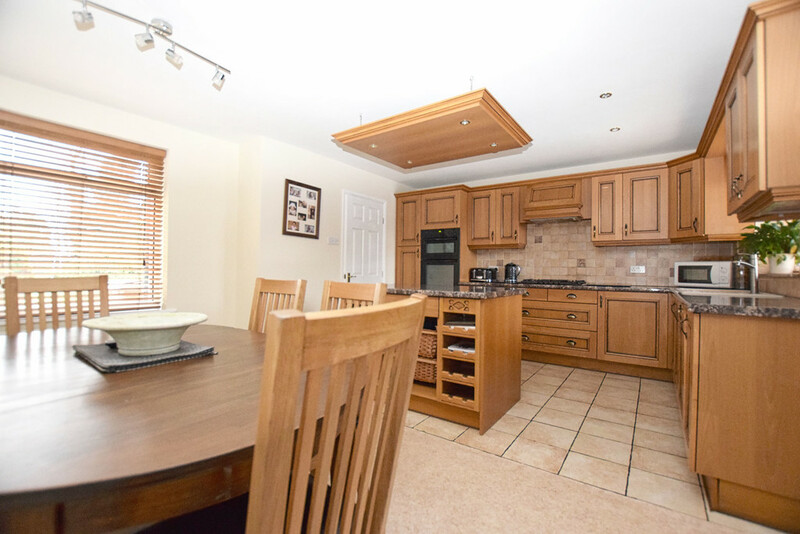 It is situated approximately 1.5 miles west of Pocklington and offers a well regarded infant and junior school, public house and church. The nearby market town of Pocklington offers a range of facilities and amenities including shops, schools, banks, sport and art centres, health centre, dental surgeries. 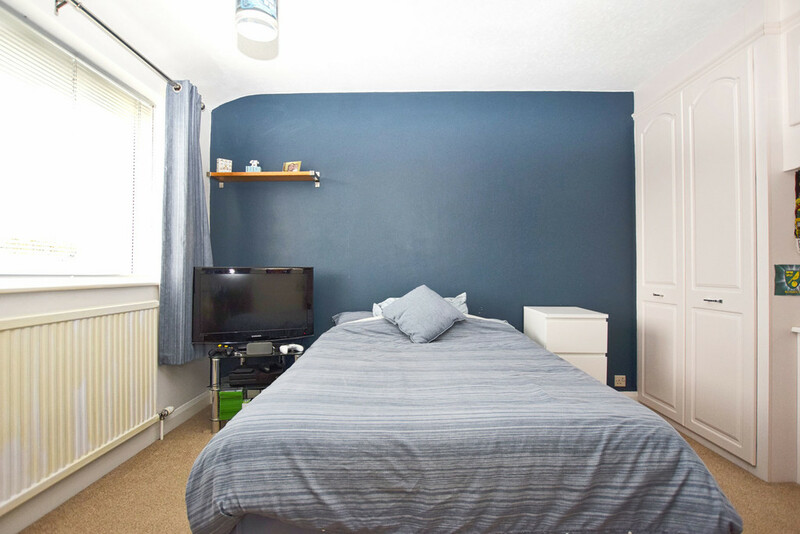 A greater variety is available in the City of York approximately 13 miles away. 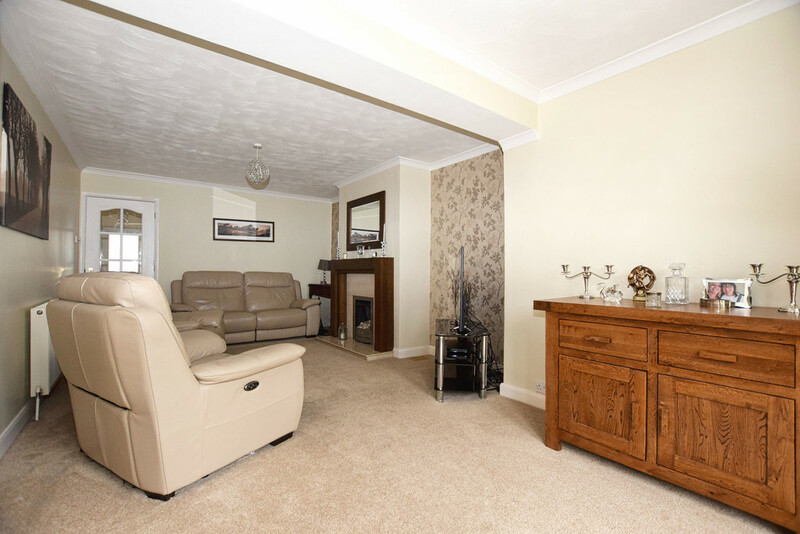 This location is ideal for the commute to York City Centre, Hull and Beverley via the A1079/A64 road network. HALLWAY Return staircase to first floor with double glazed window over. Radiator, Amtico flooring. 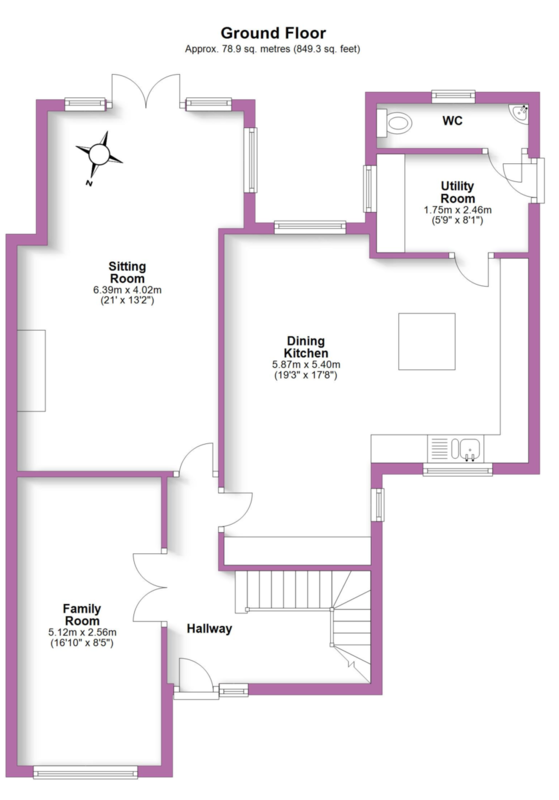 FAMILY ROOM 16' 10" x 8' 5" (5.13m x 2.57m) Approached via double doors off the hall. Double glazed window to the front aspect, radiator. 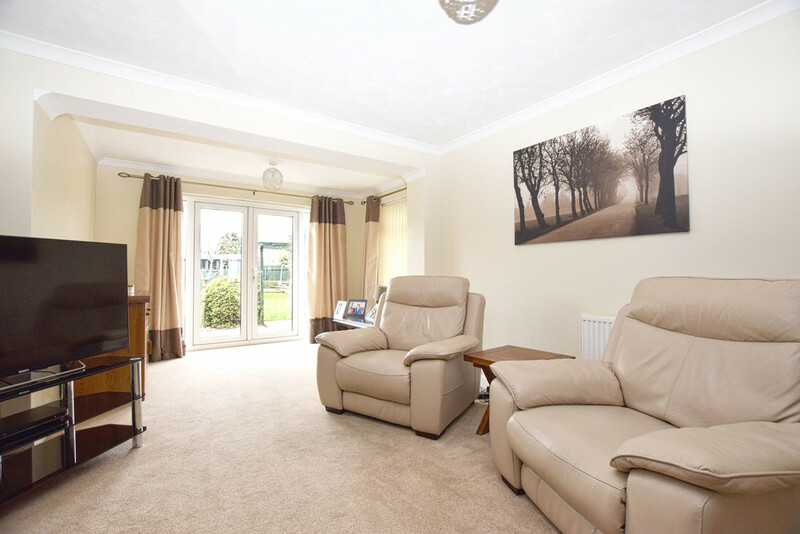 SITTING ROOM 21' 0" x 13' 2" (6.4m x 4.01m) max With double glazed French doors and windows overlooking the rear garden and a further double glazed window to the side. Chimney breast with fitted gas fire. Two radiators. UTILITY ROOM 8' 1" x 5' 9" (2.46m x 1.75m) Fitted work surface with a cupboard, appliance space and plumbing beneath. 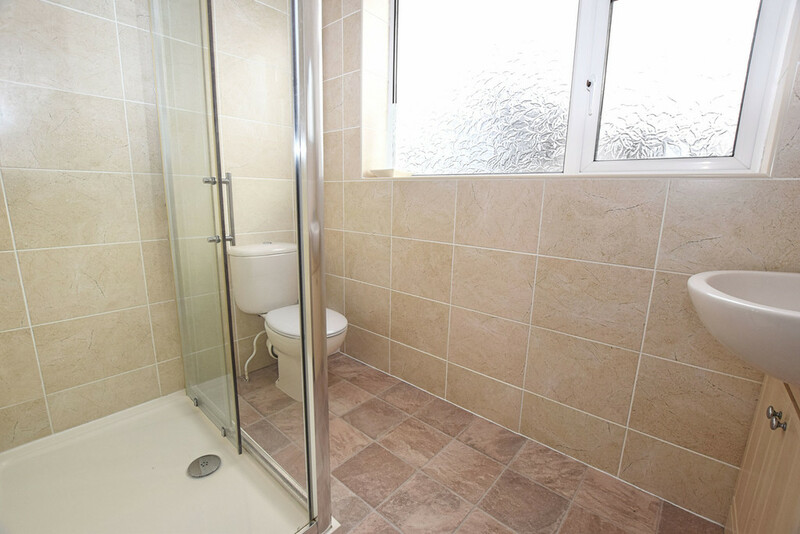 Tiled floor, double glazed window, ceiling extractor and door to outside. CLOAKROOM Double glazed window. White suite having a push button WC and wall mounted corner basin with tiled splash back. Tiled floor, ceiling extractor and radiator. LANDING Access to the loft space. EN SUITE Double glazed window. 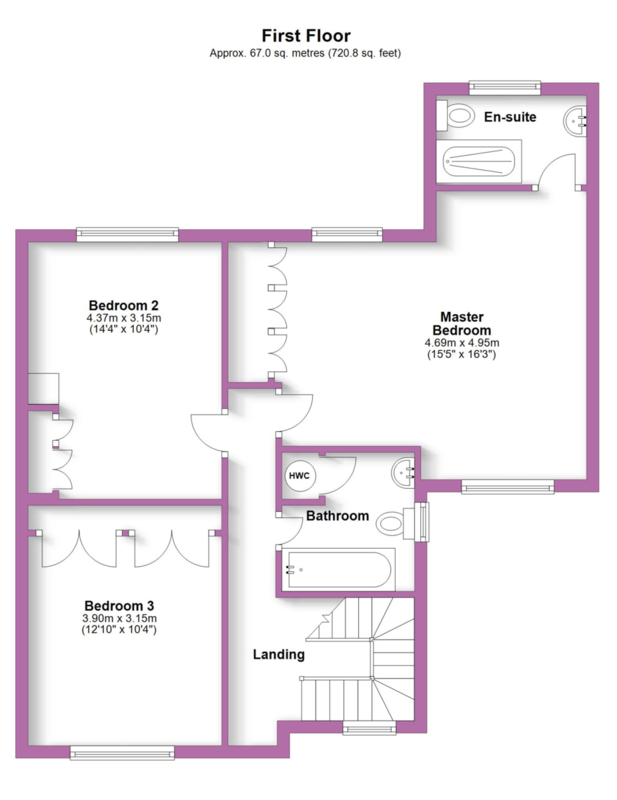 Re-fitted white suite having a large shower cubicle, push button WC and vanity unit with a mixer tap basin. 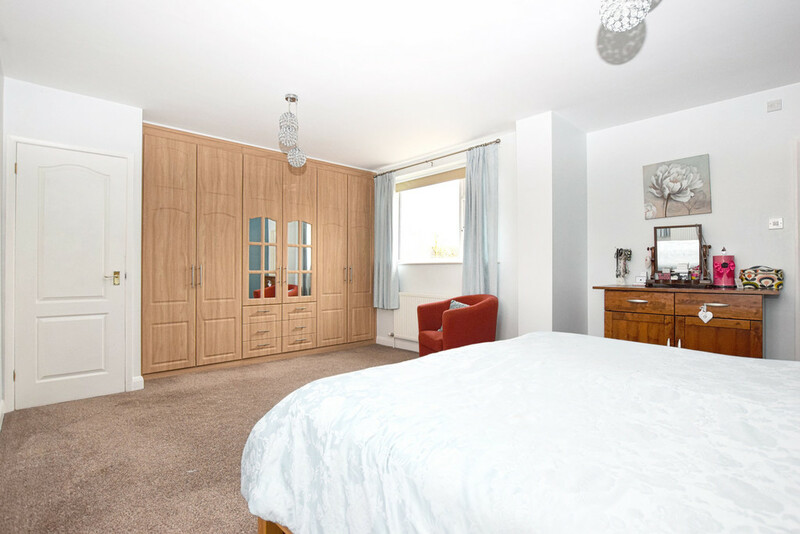 Fully tiled walls, ceiling extractor, recessed ceiling lights, heated towel rail/ radiator. BEDROOM TWO 14' 4" x 10' 4" (4.37m x 3.15m) Double glazed window to the rear aspect. Radiator and fitted cupboards. BEDROOM THREE 12' 10" x 10' 4" (3.91m x 3.15m) Double glazed window to the front aspect. 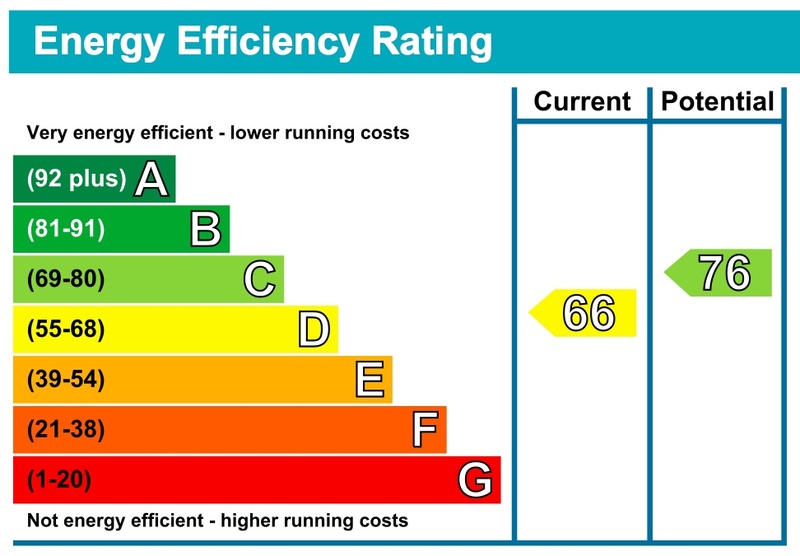 Radiator, range of fitted wardrobes. BATHROOM Double glazed window. White suite having a bath with shower unit over, pedestal basin and push button WC. Pat tiled walls, radiator, airing cupboard. 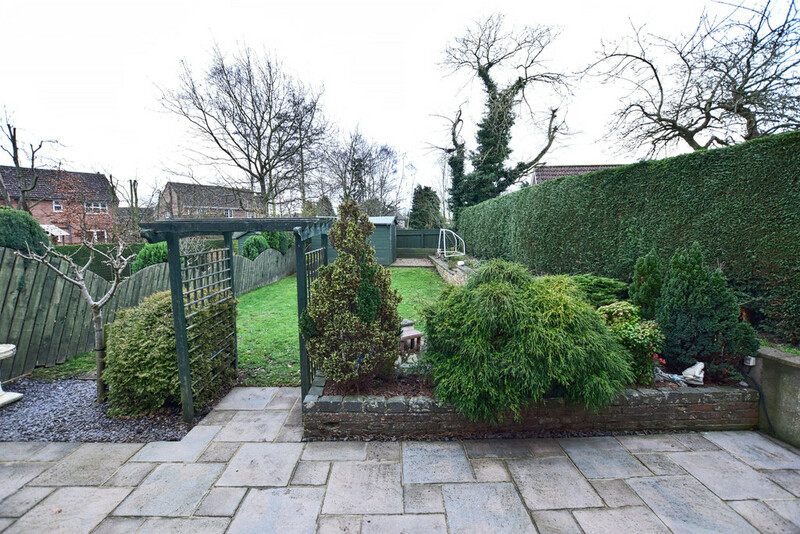 OUTSIDE To the front of the property is a long tarmac driveway providing tandem parking for up to four vehicles. To one side of this driveway is a gravel area providing further off street parking. To the other side is a raised flower bed. 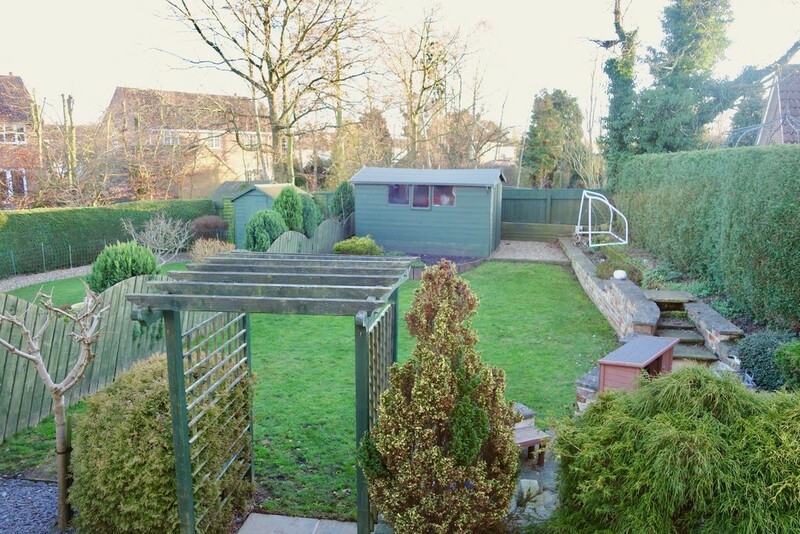 There is an outside tap and gated pedestrian access leading to the rear garden.The boiler is located in a small store. The southerly facing rear garden is enclosed to all sides by fencing. There is a patio area with light power and an outside tap and a lawn with shrub borders. 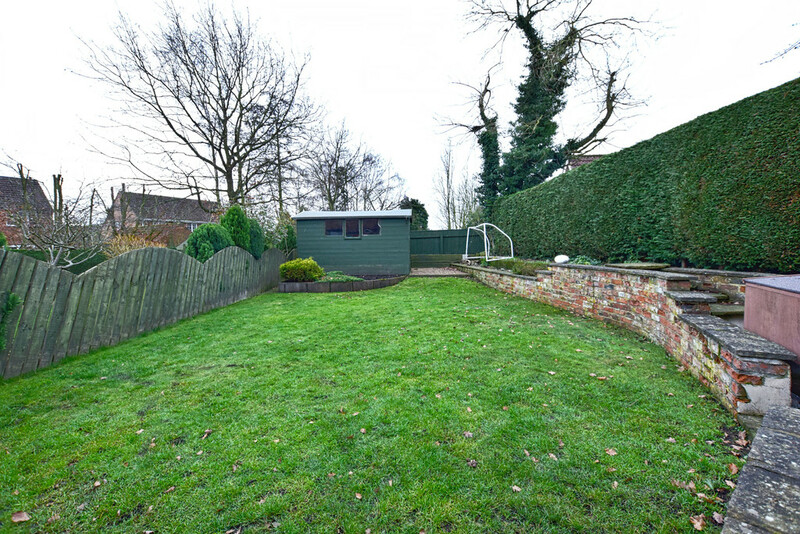 To the rear of the garden is a large timber shed with power.